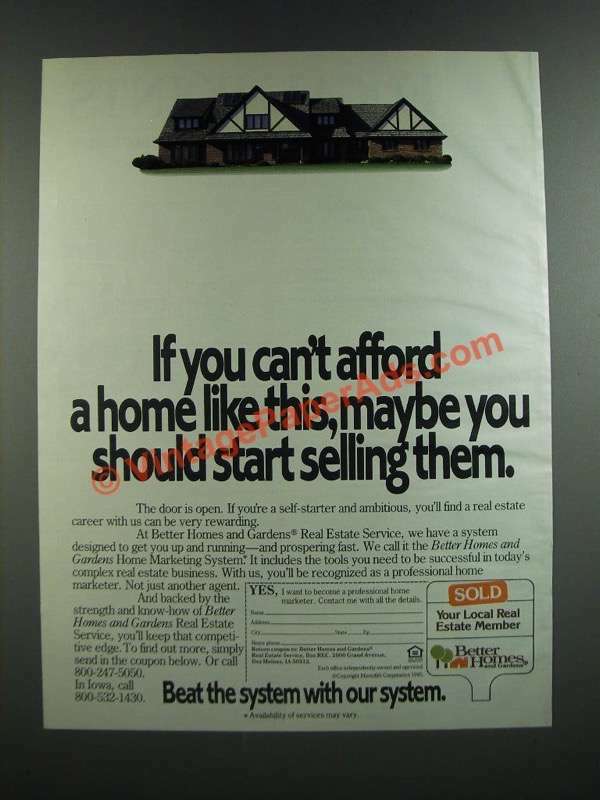 This is a 1986 ad for a Better Homes and Gardens Real Estate Service! The size of the ad is approximately 8.5x11inches. The caption for this ad is 'If you can't afford a home like this, maybe you should start selling them' The ad is in good overall condition, with some light wrinkling. This vintage ad would look great framed and displayed! Add it to your collection today!